Sky Zone is a big place and we get that little ones can get overwhelmed by the fumble and tumble of jumping amidst the masses. That’s why we've got special trampoline toddler time for all those pocket-sized pouncers and their parents. 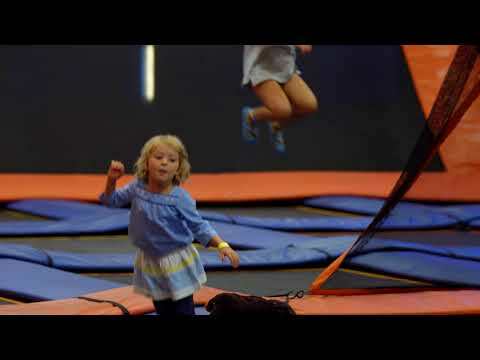 Sky Zone's Little Leapers Program is designed to keep your child entertained while they learn to reach for the sky. After all, why should your little leaper miss out on all the fun? $10 FUn for your little one! For only $10, children under 5 years old can jump in a designated toddler indoor trampoline area with other little ones. Little Leapers can’t be booked online so just roll in, pay on arrival and watch your little one get leaping! We will do our best to wear them out and make bedtime a breeze! Terms and Conditions: For children under 5yo only, walk-in only, subject to availability, jumping socks not included. Sky Zone kids parties are next level fun! We take the stress and planning out of everything for best anti-gravity celebration.